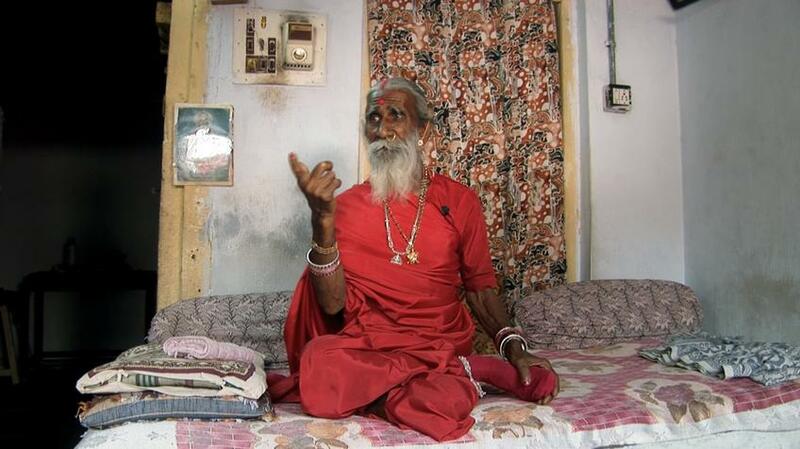 Prahlad Jani, the Spiritual Master who lives with no food or water for over 70 years ! The claims of the spiritual master were corroborted numerous times by several scientific studies which have proven Prahlad Jani has lived without water and food. According to Prahlad Jani, he has not eaten food nor has he consumed water in over 75 years, yet amazingly he is still alive. Moreover, scientific studies show that as crazy as it might sound, Jani may be telling the truth. The story of this spiritual master is amazing. He grew up in village in the Mehsana District, leaving home at a very young age, moving away from society, in order to live in the jungle. At the young age of 11, Jaan experienced an extreme religion revelation, becoming a devoted follower of Hindu Goddes Amba. Upon becoming devoted to the Goddess Amba, Juni decided to dress as a female follower of the Hindu diety and wears a red sar garment. He is commonly referred to as Mataji, which translated means ‘respected mother’. Jani firmly believes that the goddess he ahs chosen to worship provides him with all necessary substances which ‘Amba’ is said to drop down an aperture in his palate, the roof of the mouth, which consequently allows him to live without food or water. While many believe such claims are absurd ad that it is impossible to live without food or water for 70 years, the story of this spiritual master was supported by an Indian doctor and his team, who specialize in the study of people claiming to have anomalous abilities. In 2003, Jani was hospitalized and studied for 10 days. Researchers placed him in a room that was sealed and under constant supervision. According to reports, he did not ask to go to the toilet at all during his stay, and doctors state that the urine appeared to be reabsorbed by his body after forming in his bladder. Researchers noted that Jani had no physical injuries, and is healthy. The only abnormality they discovered was a hole in his palate. “Mr. Prahlad Jani did not take anything orally, neither fluid, nor water, nor food – during these 10 days of our project – and Mr. Jani did not pass urine or stool during these 10 days”. How3ever, these weren’t the only tests performed on Jani. In 2010, he was studied another time by Dr. Sudhir Shah and a team of 35 researchers from the Indian Defence Institute of Physiology and Allied Sciences (DIPAS) who were eager to understand his ability and wanted to find out if they could learn something from Jani for military purposes. Numerous studies were once again performed including blood tests and body scans. Again, Jani was under a twenty-four-hour supervision. During a total of fifteen days, the Jani did not Eat, drink water nor did he go to the toilet, and researchers reported that everything was fine with him. Scientists even described him as having a much better health than other subjects half his age. 5 Humanoids Caught On Camera & Spotted In Real Life!